Bill says that his life long passion for military history was first stimulated by a 10th year birthday present from his grandmother – a book by the RAF hero Guy Gibson entitled, “Enemy Coast Ahead”. 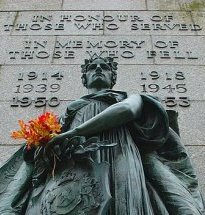 He served with the Royal Scots Dragoon Guards, an armoured regiment, during the Cold War in Germany and this provided the opportunity for visits to WW1 & 2 battle sites, many of them still in their war time condition. Upon discharge from the Army, Bill spent some time Wakefield College before taking a teaching qualification. He then pursued a career in Adult education but always the call of military history was predominant and he constantly found himself in demand by documentary film makers. Here his diverse knowledge of warfare through the ages and his practical presentation skills were considered a vital asset. Both ancient and modern warfare was encompassed including the Battles of Marathon and Waterloo ; the Franco-Prussian War; the Great War; the Second World War; the Holocaust; the Cold War; the Arab-Israeli conflicts and Vietnam . 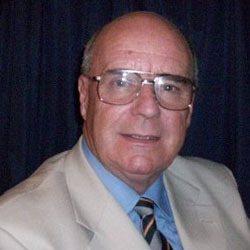 Now acknowledged as one of the finest and most experienced battlefield guides currently operating, Bill is a founder member of the Guild of Battlefield Guides.